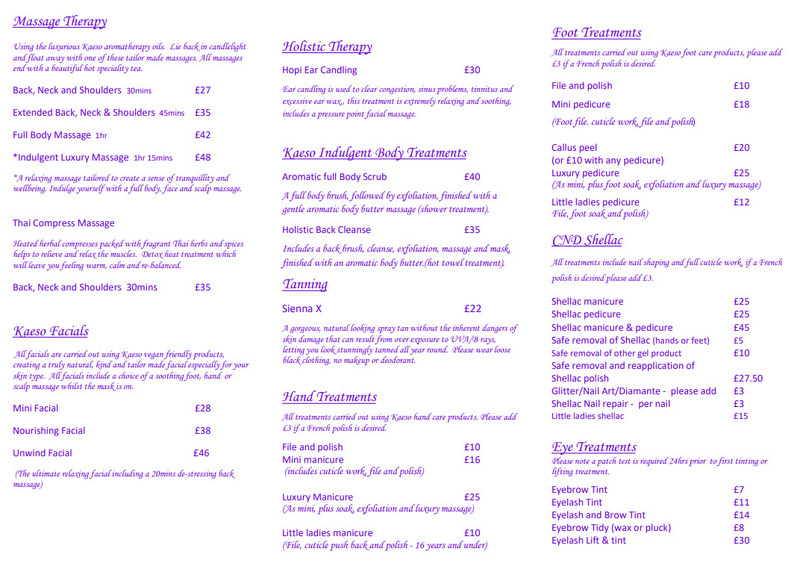 For our full list of treatments and prices please call the salon. Treat someone special with a Gift Voucher. Available in any amount, just ask for details. 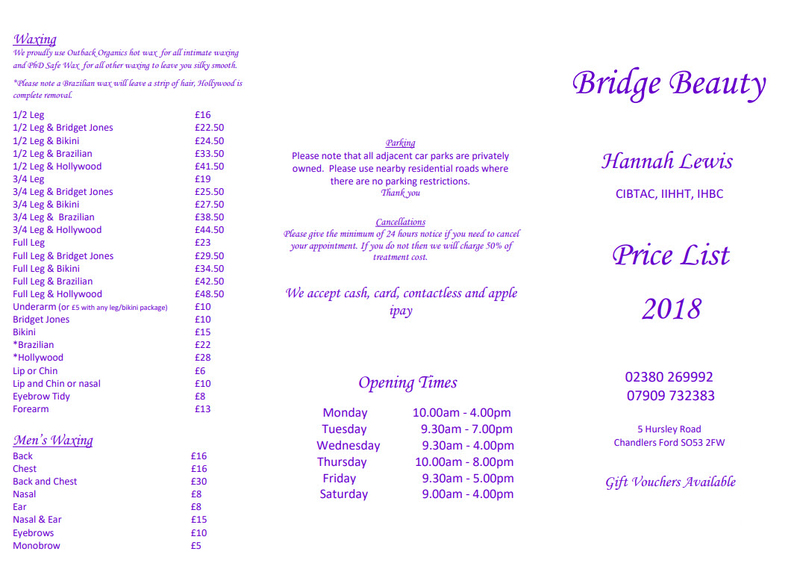 A Bridge Beauty voucher can make the perfect gift.